Grab your art and craft supplies and give one or more of these projects a go. You will find ideas both for crafting at home or in the classroom. Wonderful looking and insanely easy to make, this project is fitting for all age groups. Older kids can make this one all by themselves, while for younger kids, prep work will be required. With a paper trimmer you can have all the parts needed for this one made in no time at all, even if you need a whole bunch of this for a classroom of art and craft hungry students. 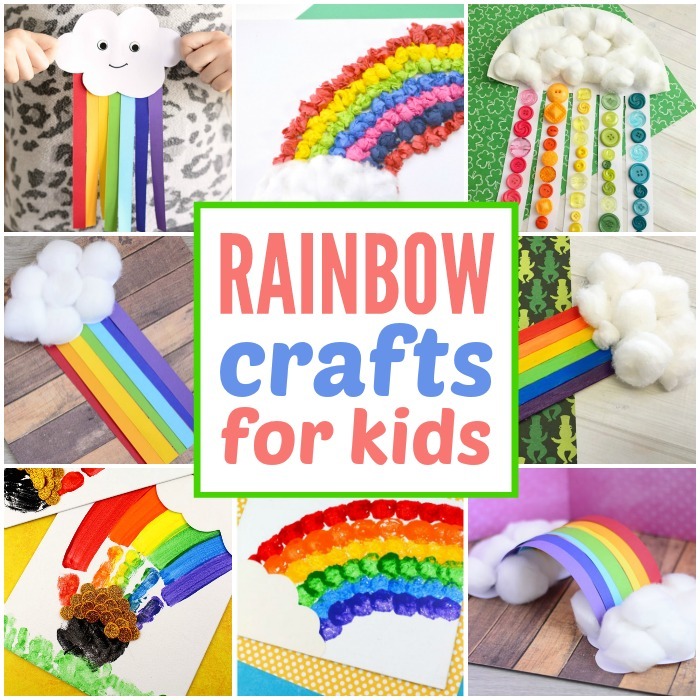 Great for learning the order of the rainbow colors too. 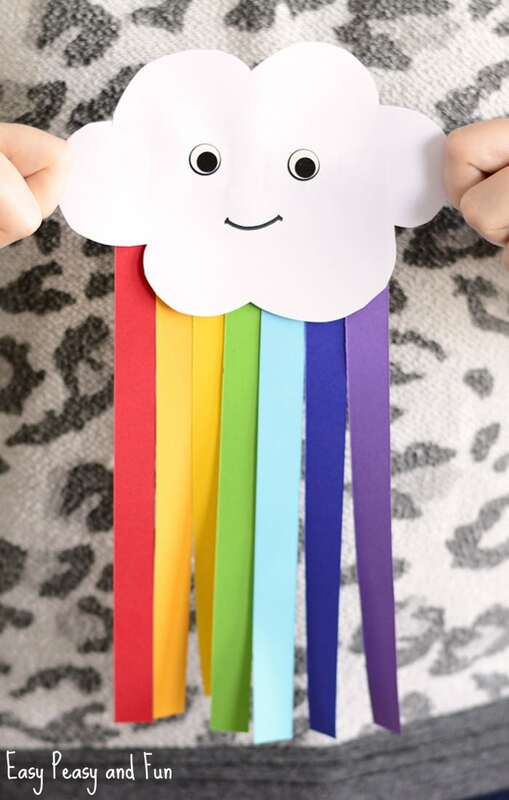 Check out how we made this super simple colorful cloud. 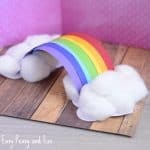 Now this one is our favourite, an arched 3D construction paper rainbow that almost looks like a real one. 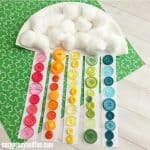 The cotton balls clouds add to the magic and make this rainbow craft idea worthy a try. Painting with cotton balls? Why not! 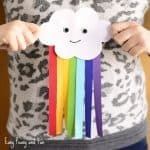 It’s insanely fun and great for fine motor skills – which makes this art project suitable for toddlers and preschoolers. Craft stick are a must have crafting material when it comes to crafting with kids, they are great for all ages – young ones will make simple project like this colorful one while older kids will be able to use them for all kinds of structures. 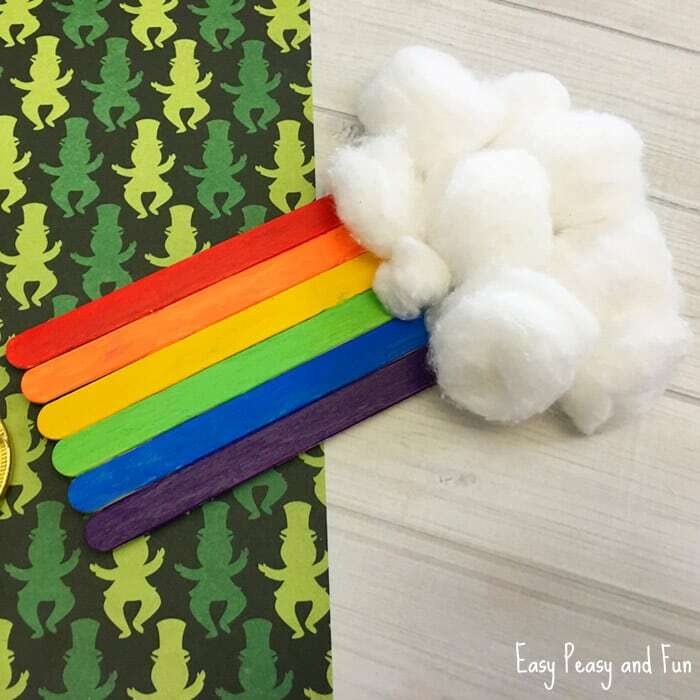 Paint the stick in the colors of the rainbows (plus – minus one, depending what your aim of the craft is – if it’s just for fun, then the number doesn’t matter, if it’s about learning then stick to the actual number). 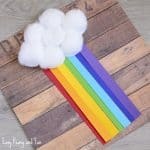 Check out how we made this popsicle stick rainbow craft. 5. 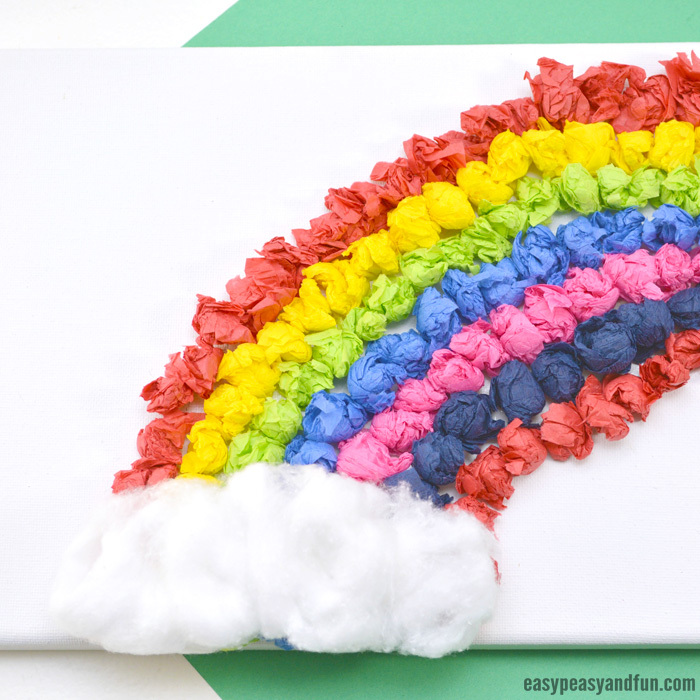 Getting Crafty With Tissue Paper While getting all the colors of the rainbow might be a bit of a challenge you can always do a bit of improvisation, as long as the kids are having fun creating this project. 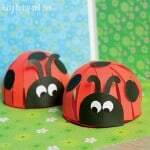 As this one takes a bit of patience as kids make the tissue paper balls it’s a wonderful fine motor exercise. 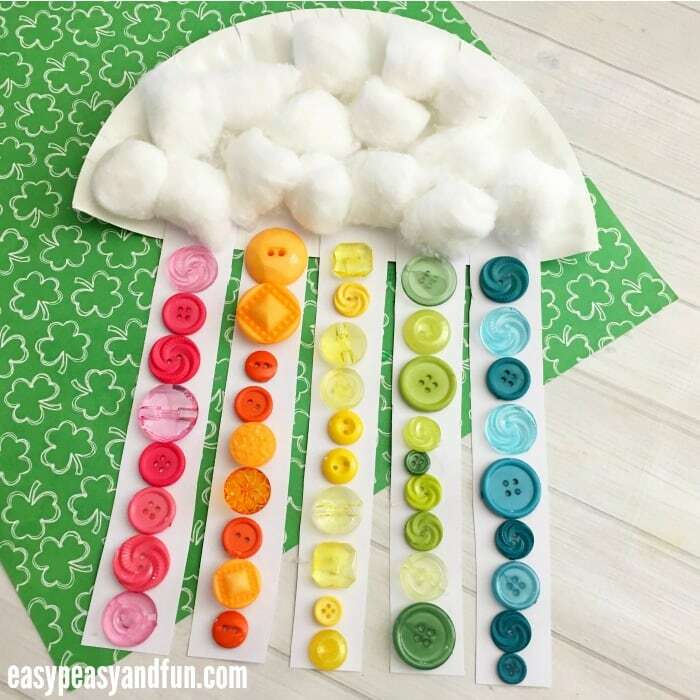 There are many ways you can use paper plates to make a rainbow, ours focuses on sorting colors – in this case buttons. You can use a variety of different materials, scrap paper, pom poms, fabric and more. 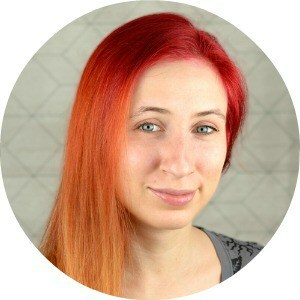 Learn a bit more about this project. 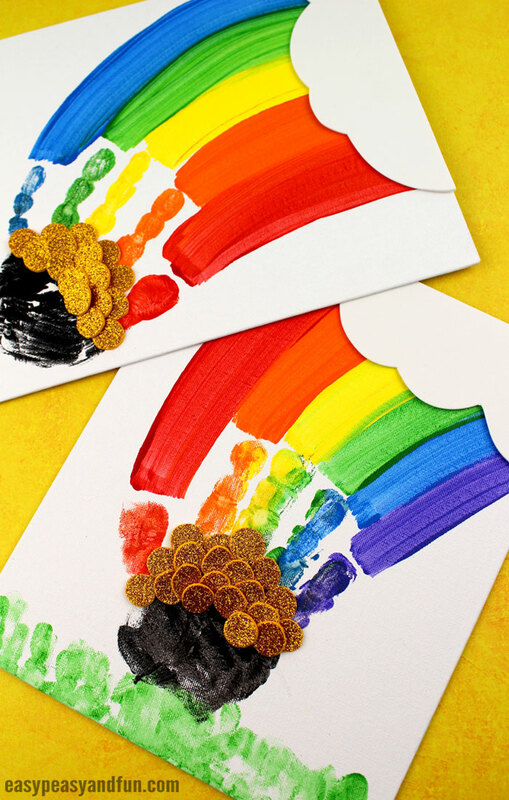 Handprint crafts are messy (synonym for fun) and can be a wonderful activity to do with your kid on a rainy day (and spring is generous with those). This one is perfect both for celebrating spring and St. Patrick’s day. 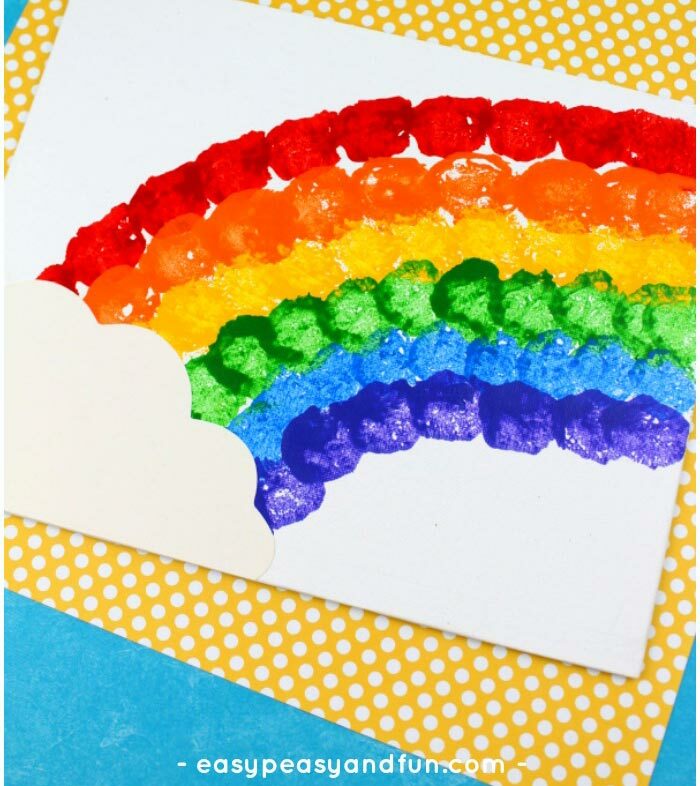 Check this rainbow handprint art here. This is yet another project that’s perfect for learning all about the colors of the rainbow. A bunch of these, or one huge one would also look really great displayed on your spring bulletin board. Now this is an activity that will keep your kids entertained for hours. 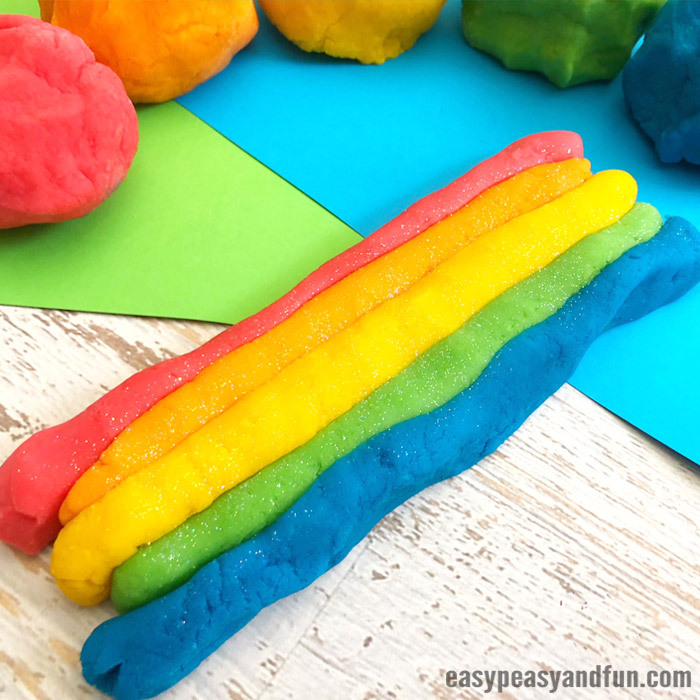 Make a batch of rainbow colored play dough and let them get super creative with it.